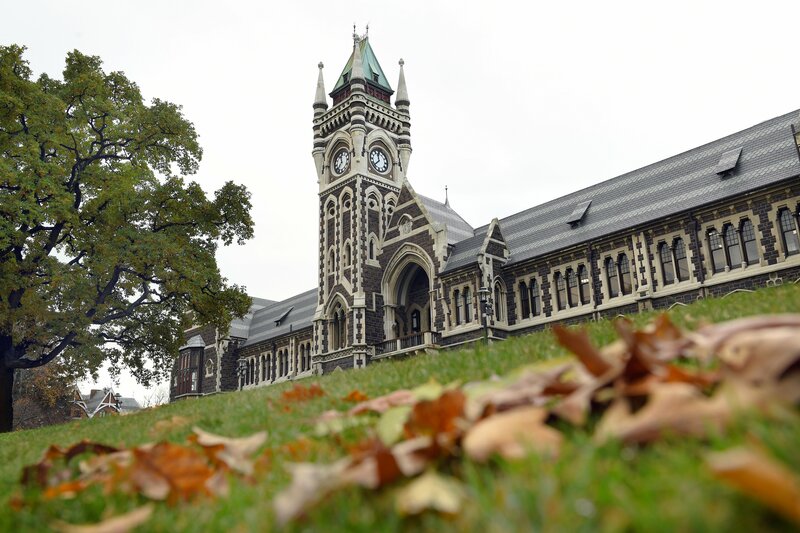 Concerned about morale at the University of Otago following recent staff restructuring, Kevin Clements and Peter Matheson say it’s time to remember the university’s core functions of teaching, research and service depend on a highly motivated workforce. The University of Otago is far more than a research centre, a teaching institution and a key driver of innovation and economic prosperity. It is also an identity marker, an alma mater, a nourishing mother, it is our turangawaewae. When alumni, faculty and students return from abroad the clock tower tells them that they are back home, and it feels good. Or it used to. No more, alas, no more! Something has gone wrong, badly wrong. It is true that the campus has never looked so attractive. It is lovely to walk through of an evening. The Highlanders carry the university crest through the country and beyond. And -giving credit where it is due - the achievements of brilliant university researchers figure almost daily in the media. Yet, right across the board, faculty members and professional staff are reeling from the university’s restructuring and reorganisation. Faculty and administrators have been facing stress and uncertainty generated by years of waiting as restructuring takes place - Der Ton macht die Musik, as the Germans say. Whole departments in the sciences division have had to reapply for their positions. The heartless style in which the changes are orchestrated makes the human being at the centre of them feel like a dispensable commodity. How can one expect scholarly and pedagogical creativity to flourish in an atmosphere like this? For some areas, such as the College of Education, one review has followed another and the Support Services Review has had administrative staff enduring slow torment over three long years. Right across the campus, different divisions have been restructured for a variety of reasons. Staff and students protest against cuts to support staff at the university last year. The Humanities Division, for example, was told initially that restructuring was driven by falling rolls and a $12 million hole in the divisional budget. Just last week, however, the University Council, with impeccable timing, announced that student enrolment was up and university revenues were in surplus by about the same amount as the Humanities Division deficit. This could be a timing issue created by delayed but inevitable maintenance and capital work. Or it could signal that the university’s fortunes have turned. The point is, however, that as the university expands and contracts, surpluses and burdens should be shared. The restructuring has led administrative staff to desert in droves, taking redundancy payments or early retirement. The loss of centre managers/administrators and their replacement by a more centralised and remote middle management is resulting in an enormous loss of institutional memory across all divisions. Departments are not only losing administrators with decades of experience but risk losing something of their departmental identity and humanity as well. Most students, for example, go to the administrators for advice about enrolment, pastoral care and support, critical continuity and a sense of belonging. These human faces are being lost to more anonymous central administrators. Most student inquiries regarding courses, enrolments, technology, fees, or scholarships, for example, will be dealt with in future by a call centre and a database of ‘‘best fit’’ responses. This depersonalisation is also evident in the library which has been described as ‘‘a sterile and uninviting wasteland’’. There appears to be more interest in creating electronic study space for students than spaces for books or browsing. Will we follow the experience of the University of Auckland where specialist libraries have already been closed? No-one denies that there has been government underfunding of the university sector over decades. It’s obvious, too, that the tertiary sphere is not immune to the pressures of electronic change. Nor is anything going to be helped by personalising matters, and scapegoating individual decision-makers who are fine people trying to manage in challenging circumstances. The problems lie much deeper. As elsewhere in New Zealand society, corporate culture and commercialisation are driving university decision making. Gone are the enlightenment values that placed a high premium on a safe, nurturing space for a wide range of different types of academics to pursue knowledge, truth, and wisdom. University promotion and tenure mechanisms, not to mention the PBRF assessment exercise, demand that academics quantify all that they do, sometimes several times each year. Academics have become intellectual proletarians. Like workers on a production line, they are being asked to ensure the ongoing viability and profitability of their departments and the wider university. If this involves axing unpopular programmes so be it! If it is driven by short-term challenges rather than long-term values so be it! Why is all this happening? The rationale for these surgical measures is that academic staff will have more time for their work. Secondly, that support staff, (i.e. those fortunate enough to remain, or who have not been demoted) will have clearer career pathways. Thirdly, that centralised processes will meet the needs of what is a very diverse university, and finally that student ‘‘experience’’ will be enhanced. It is not at all clear that the current restructuring will deliver these promises and the administration should be monitored and held to account in relation to them. Efficiency should not mean depersonalisation. We are in danger of forgetting that a university is made up of people and that the core functions of teaching, research and service depend on a highly motivated work force. The widespread uncertainty and the powerlessness that staff are experiencing at the moment are totally inimical to the development of a nurturing academic community. Academic leadership and vision is at a premium. It would be good to open up a wider public debate about the negative impacts of corporate culture and commercialisation on university decision making in general and the quality of Otago university life in particular. The neo-liberal agenda is being challenged in this country and beyond. New Zealand itself, is changing fast as is the rest of the world. Government is beginning to move away from narrow cost-benefit considerations to larger criteria of what drives human wellbeing and the common good. Our university leaders need to tell us how their vision for the university coheres with these exciting new humane and caring perspectives. They also need to tell us what they intend doing to restore the morale and heart of the campus when the restructuring is complete. - Professor Kevin Clements is the chair and foundation director for the National Centre for Peace and Conflict Studies, University of Otago. The Rev Dr Peter Matheson is a historian and theologian and an honorary fellow in the University of Otago’s department of theology and religious studies.